A week ago, Jake Caputo was barred from participating in WordCamps as an organizer, sponsor, or presenter. 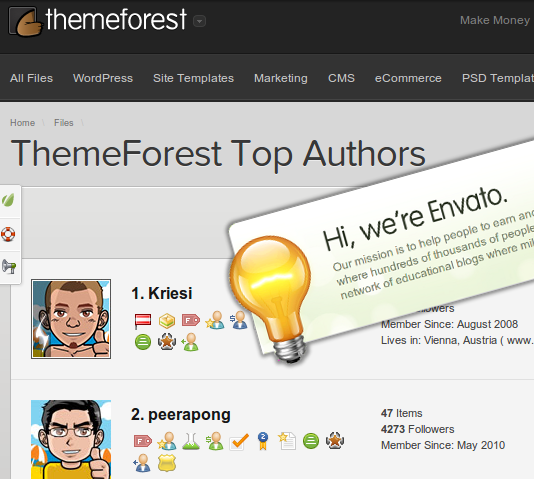 The reason for this is based on the licensing under which his themes are sold by Envato’s Themeforest. This move, somewhat predictably, has caused a fair bit of division in the WordPress community. Envato’s move to a split license does not contradict the GPL, but it does go against the WordPress Foundation’s stated policy on WordCamp participants, which asks more of developers than does the GPL. The discussion has ranged from what is permissible under the GPL to whether Matt Mullenweg (and the WordPress Foundation) is right in their stance on the issue, to what theme authors should be allowed to do with their themes to whether releasing under the GPL is morally better than other licenses. All that, and what “doing the right thing” means in this context. So I added a widget to my blog sidebar to show where FourSquare thinks I still am. Useless perhaps, but a little neat. While poking around the vast reaches of the WordPress Plugin Repository, I found the Foursquare Venue Plugin for WordPress, which looks interesting. If you have a venue that people may check into, you can extend your WordPress site to show a real-time display of who’s there and who’s the mayor. Add an incentive for whoever the current mayor happens to be (free refills, fries or a discount of some sort, whatever) and you may just encourage more FourSquare users to turn up and check in. Nice. Very Guerrilla, and social too. I’ve just upgraded my test blog to WordPress 3.0 Beta 1, with the new default Twenty Ten Theme. It’s yet another beautiful evolution for my favorite CMS, WordPress. That’s right, I didn’t say “blogging engine”. I’ve been using WordPress as a CMS for a while already, and no, there’s no reason a WordPress site has to look like a blog, or that it even needs to look particularly “WordPress-y,” though a lot of them tend to. The giveaway is often in the post comments area, which a great many themes do not bother to customize very extensively, though they should. (Mine is customized to a degree, even if not extensively.) I had read someplace that in 3.0 it would be easier to customize this part of a theme, but I haven’t dug that deeply. In any event, a theme developer with a modicum of php-chops should be able to hack out a custom look for it even in the old system. Job Interview Presentation: Sprucing Up or Deception? Classic 1997 Ad by TBWA\Chiat\Day. brad/futuristguy: Click and see … their teeth had already fallen out!